Mallard Grange is a 16th-century farmhouse set half a mile from the World Heritage Site of Fountains Abbey. The market town of Ripon, famous for Newby..
Set in Grantley in the North Yorkshire Region, this holiday home is 40 km from York. The property is 36 km from Leeds and free private parking is feat..
Chequers Inn is located in Harrogate, 3.8 km from Ripley Castle. Guests can enjoy the on-site restaurant. Free WiFi is offered and free private parkin.. The Old Barn is a holiday home with a hot tub, set in Ripon. It provides free private parking. There is a dining area and a kitchen complete with a d.. Featuring free WiFi and a restaurant, The George Carvery & Hotel offers accommodation in Ripon, 12 km from Lightwater Valley Theme Park. 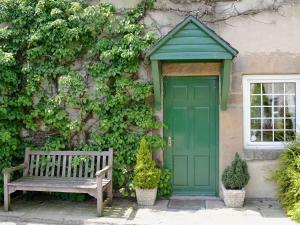 Guests can en..
B&B The Ship offers pet-friendly accommodation in Ripon. Guests can enjoy the on-site bar. Free WiFi is available throughout the property and free pri.. Located in the centre of the historic Yorkshire town of Ripon, The Royal Oak provides the ideal base for a rural getaway. Public parking is possible n.. Located 31 km from York and 33 km from Leeds, The Granary offers pet-friendly accommodation in Bishop Monkton. The property is 11 km from Harrogate an.. 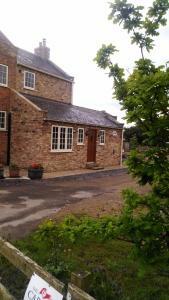 The Barn is a holiday home situated in Bishop Monkton in the North Yorkshire Region and is 31 km from York. The property is 33 km from Leeds and boast.. 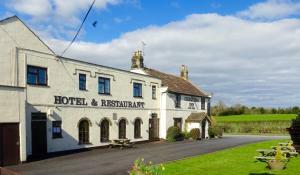 Located 31 km from York, The Smithy offers accommodation in Bishop Monkton. The property features views of the city and is 33 km from Leeds. An oven,..
Set in Bishop Monkton, this holiday home is located 32 km from York. The unit is 34 km from Leeds. A dishwasher and an oven can be found in the kitch..
Crag House is a holiday home set in Pateley Bridge, 42 km from York. 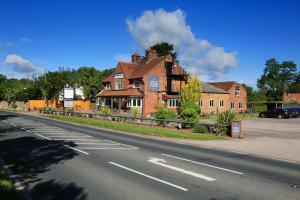 The property is 36 km from Leeds and free private parking is offered. 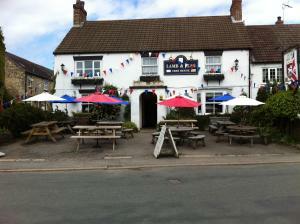 An oven, a..
Lamb & Flag Inn is situated in Bishop Monkton, 31 km from York. Guests can enjoy the on-site restaurant. Free WiFi is featured throughout the property.. Situated in Kirkby Malzeard in the North Yorkshire Region, this holiday home is 43 km from York. The property features views of the garden and is 40 k..
Set in Grantley in the North Yorkshire Region, 41 km from York, Brimham Rocks Cottages boasts a children's playground and indoor pool. 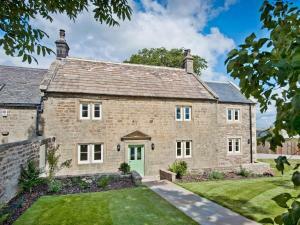 Leeds is 34 km ..
Fellbeck is a holiday home located in Pateley Bridge, 42 km from York. The property features views of the garden and is 35 km from Leeds. 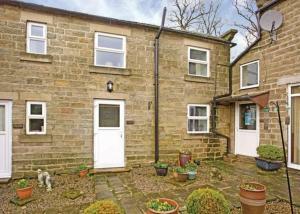 The kitchen..
Set 42 km from York and 35 km from Leeds, Crossgates offers pet-friendly accommodation in Pateley Bridge. It provides free private parking. An oven, ..
Oak Tree House is located near Ripon and offers bed and breakfast accommodation with free on-site private parking. The property features a living roo..
Offering a terrace and views of the garden, The Moorhouse is set in Laverton. Free private parking is available on site. Every room is equipped with .. Located in Laverton, this holiday home is set 44 km from York. The unit is 41 km from Leeds. The unit is equipped with a kitchen. A TV and DVD player..